We are very excited to bring to you something that we have worked very hard on for over a year… the ARC. 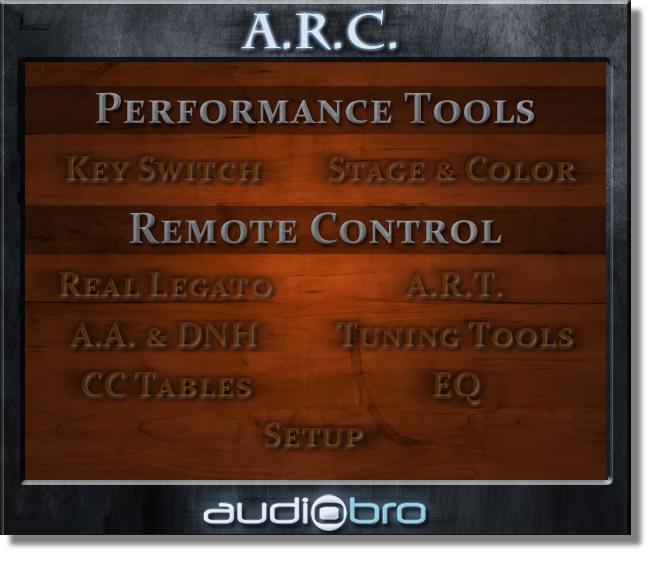 “ARC” stands for Audiobro Remote Control. This is a very powerful tool that allows you to control one, many, or all of LASS’s patches from one place. This saves you time and allows you to experiment with more confidence knowing that you can apply lots of sweeping changes to patches with ease. Please watch our online ARC videos (coming soon) to get an even better understanding of the ARC. We are especially excited about ARC’s integration of the Stage & Color feature. Based on its tonal profiles that we created exclusively for LASS, Stage & Color allows users to sound like famous scores or recordings. We are equally excited about ARC’s other features including the new Key Switch, Real Legato and Tuning Tools pages.